Watch Grey's Anatomy Season 15 Episode 8 online via TV Fanatic with over 5 options to watch the Grey's Anatomy S15E8 full episode. Affiliates with free and paid streaming include Amazon, iTunes, Vudu, Hulu Plus, and Verizon On Demand. 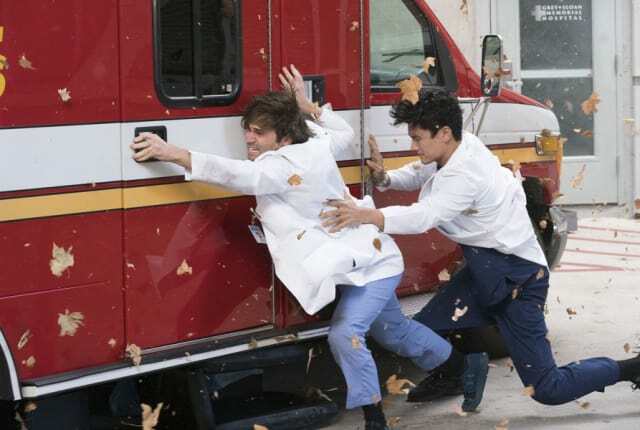 On Grey's Anatomy Season 15 Episode 8, Seattle is hit by a huge wind storm and Grey Sloan becomes inundated with patients while Alex and Jo are stuck at home.